On to damselflies, another critter of interest in our 'bug' project. Generally speaking, you can tell a damselfly from a dragonfly by the way they hold their wings when at rest. 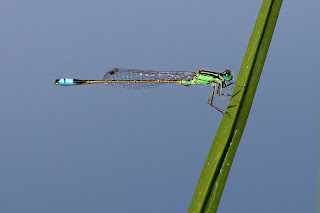 Damselflies hold wings parallel to their bodies; dragonflies hold them out. This fine damselfly is a Rambur's Forktail. 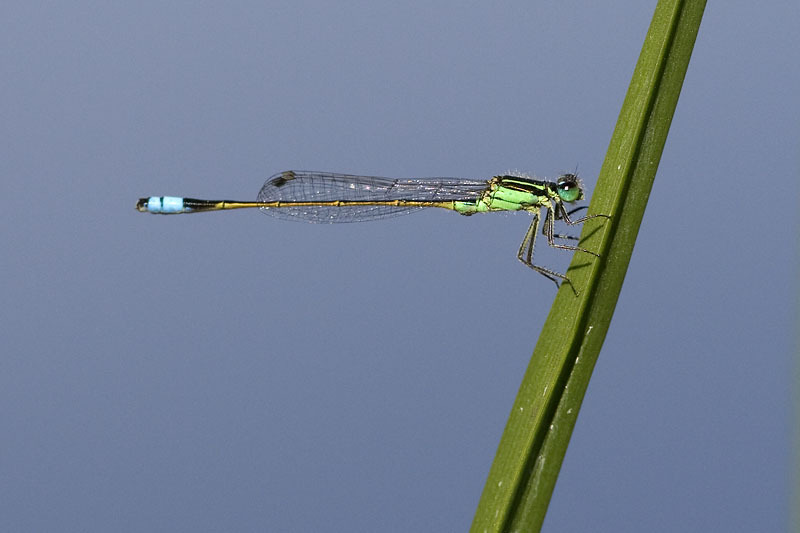 Just like dragonflies, damselflies undergo INCOMPLETE metamorphosis (egg, nymph, adult). A cool nymph photo here (not the same species, but you get the idea). In non-bug news, I've been blogging for a year! 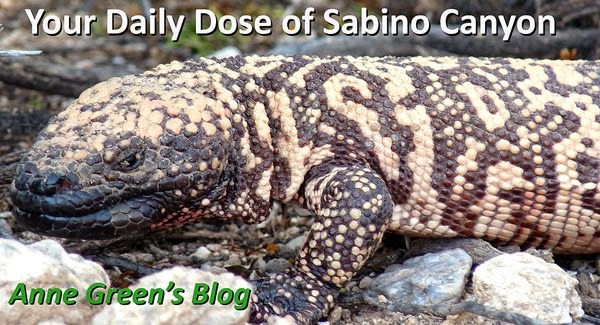 Thanks for your encouragement and support (and your photographs)!